Escape the tedium of everyday routines by exploring Bedford County’s parks, golf courses, and waterways. 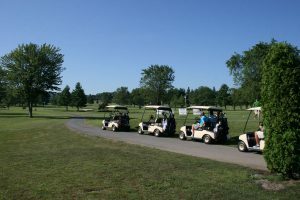 Golfers will love the variety of challenging courses that await them, complete with some of the best scenery Pennsylvania has to offer. county. Finding all of them is an adventure which affords a great driving tour of the beautiful countryside. Bedford County’s three state parks showcase rural Pennsylvania at its best. Free to visit and use, the parks offer hiking, swimming, fishing, picnicking and much more, making them a popular choice for the budget-conscious. Blue Knob, the state’s second highest peak (3,146 feet) is known for its excellent skiing conditions. The 6,128 acre Blue Knob State Park features swimming, horseback riding, camping, trail biking, snowmobiling, cross-country skiing, and hunting (in-season). Shawnee State Park, near Schellsburg, is centered around the 451 acre Shawnee Lake. A very scenic setting, great recreational facilities including a beach with modern facilities, three boat launches, and some of the area’s best fishing make this park a sure stop on every savvy traveler’s list. Warrior’s Path State Park, near Saxton, is laid out along a warpath used in battles between the Iroquois, Cherokees and other American Indians in southern Pennsylvania. 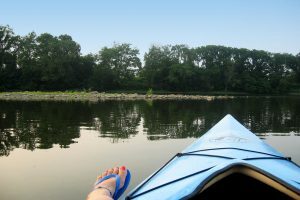 The park is bounded on three sides by the Juniata River, located just a mile above where it empties into Raystown Lake.